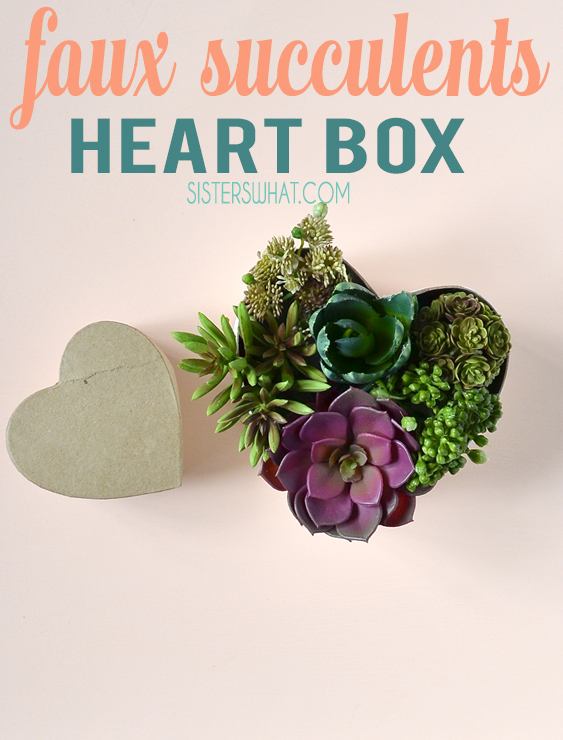 ' Succulent Heart Valentine Decor - Sisters, What! Did you fall for the succulent tread? I sure did, but mostly because I love plants and flowers, but keeping house plants or potted plants alive is not in my favor. So succulents were perfect for me. Now, I must admit, I haven't had 100% success with all my succulents, but most of them have stayed alive and some even had babies!! So exciting. 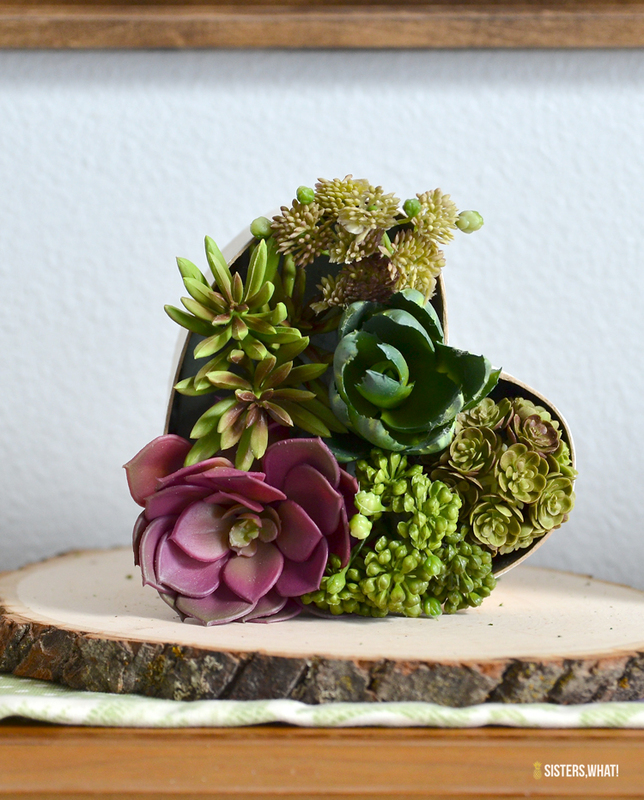 However, sometimes even real succulents doesn't work for everyone or in every part of the house. 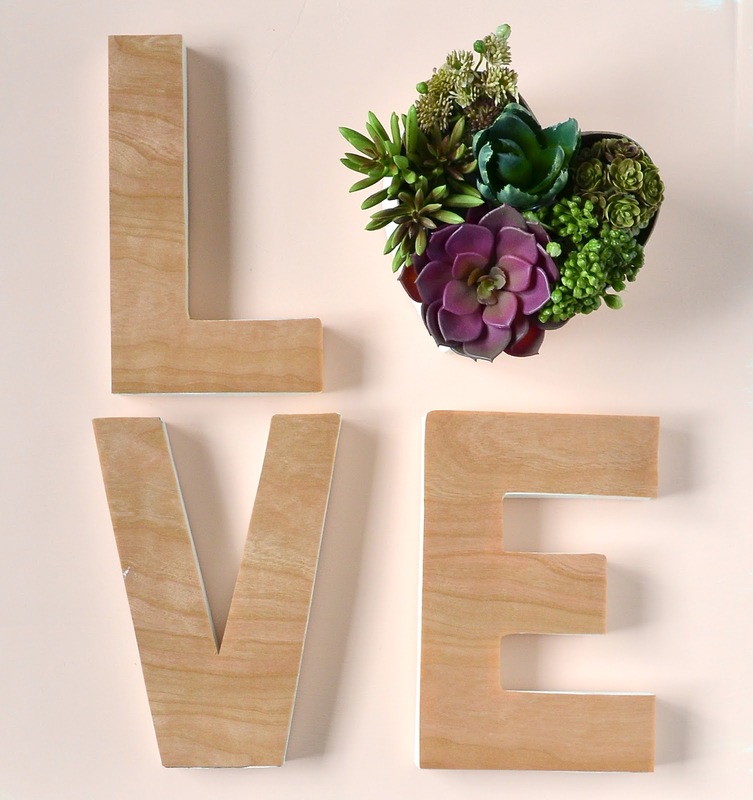 I really wanted to do a heart succulent for V-day, but I didn't want to buy the amount of succulent it would require. So I decided to do fake. Also, I then get to use it again every year without worrying them staying alive. First you want to pick out your desired succulents and then cut them down to size of the height of the box. Also, at this point, you can paint the side of your heart box if you so wish. Then cut your foam up so that it fits into the heart box. It doesn't have to look perfect, just needs to cover the bottom to hold the flowers. After you have it all arrange, hot glue the foam to the bottom of the box. Lastly, add the succulents or flowers to the foam. 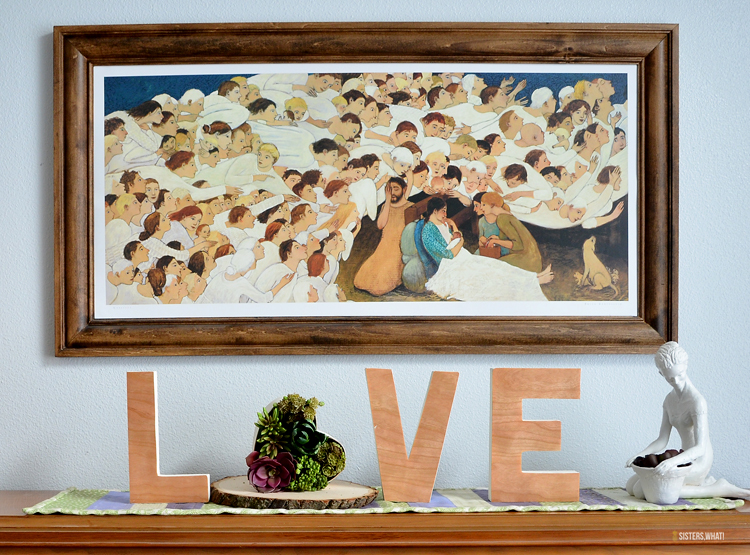 Such a simple and classy Valentines decoration.